St. Louis Federal Reserve President James Bullard thinks bond buying could come to an early end if the economy continues to improve. Three Federal Reserve officials stressed Friday that moderate economic growth in 2013 may push the central bank to stop its controversial asset purchases before the end of the year. A day earlier, minutes from the Fed's December meeting hinted that some Fed members believe the central bank should halt its asset purchases as early as this year. Several of those members revealed themselves and clarified their opinions on Friday. "If the economy performs well in 2013, the Committee will be in a position to think about going on pause," James Bullard, president of the St. Louis Federal Reserve told CNBC. "If it doesn't do very well then the balance sheet policy will probably continue into 2014." The Fed has kept interest rates near zero for four years in an effort to stimulate the economy. After its December meeting, it announced it plans to keep them at those lows until the unemployment rate falls to 6.5% or inflation exceeds 2.5% a year. It was the first time the Fed had issued such explicit goalposts for future policy. Also at that meeting, the Fed expanded its stimulus program known as quantitative easing, which entails buying Treasury bonds and mortgage-backed securities. Unlike prior rounds of similar stimulus, that program was left open-ended, with the Fed saying only that it would continue the purchases until the job market improves "substantially." Stocks sunk shortly after the minutes were released Thursday, but then rallied Friday as investors turned their attention to the latest jobs report. That report showed the unemployment rate was 7.8% in December, unchanged from a month earlier. 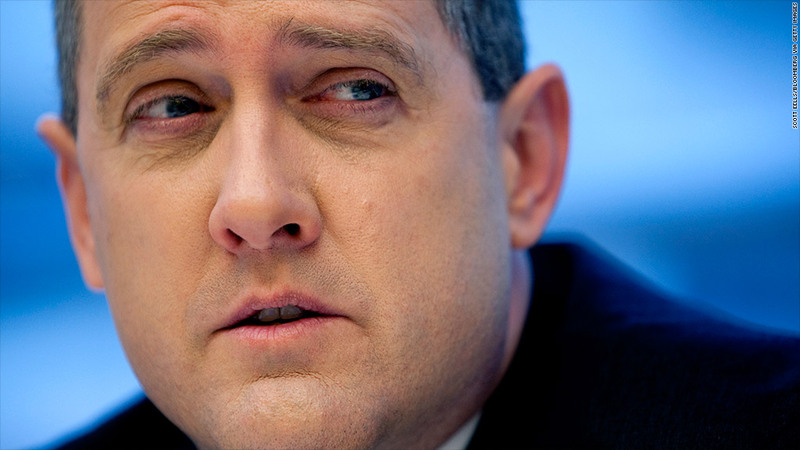 Bullard said he believes the Fed could pull back on asset purchases this year if the unemployment rate falls to 7.1%. Philadelphia Fed President Charles Plosser is even more optimistic. Speaking at the American Economic Association's annual meeting in San Diego, Plosser said he expects the unemployment rate to fall to between 6.8% and 7% by the end of the year. If his forecast rings true, he said the central bank will have to stop asset purchases this year. Separately at an event in Baltimore, Richmond Fed President Jeffrey Lacker reiterated his opposition to the Fed's asset purchases, noting he doesn't believe they will have a material impact on the economy. He said he expects the U.S. economy to grow moderately in 2013. Lacker was a voting member on the Fed's policymaking committee in 2012, and the only one to formally dissent to the action the Fed took at the December meeting. But Lacker will no longer have a vote as the central bank rotates its voting roles among its regional presidents at the start of each year. Bullard will rotate into a voting role at the next meeting, and Plosser remains a non-voting member until 2014.